Elizabeth Grace hosted an intimate party, Love for Sale, last night in their storefront. The owner, Laura, is truly wonderful at her work. 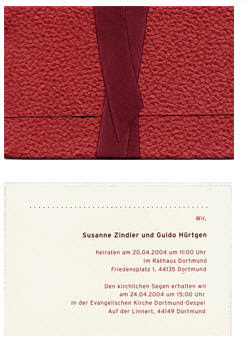 Her extensive collection of invitations is astounding. What is so surprising in the number of beautiful styles she designs for her brides. 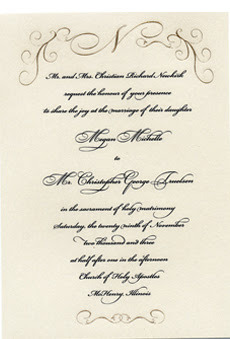 The invitations vary from classic to classic with a modern twist to completely unique and edgy. The store also carries all of my favorite stationary lines-- Snow & Graham, Vera Wang, and a variety of gorgeous couture cards. There also also very cute presents- everything from totes to Vosges chocolates. I bought my fiance's Valentine's gift there. The event highlighted many other great Chicago vendors. A representative from Rick Aguilar Studios was available to take portraits for your sweetheart. Before the picture, complimentary make-up touch-ups were available by Darcy McGrath. Darcy, of Beauty and the Bride, did a stellar job. While I was getting glamorous, I was able to enjoy a performance by Stitely Entertainment and eat some treats from Calihan Catering. If you are looking in the mood to look at something pretty, stop by Elizabeth Grace.